The original HAPPYNEX violin and viola sling ! Play with your head and neck upright and free to move! HAPPYNEX® Presents: The Next Generation of Playing Comfort! HAPPYNEX® is the one and only original violin and viola sling. Close your eyes and take a breath. Imagine what it would be like to play with more comfort and less fatigue, your head and neck free to move with your instrument. Discover this freedom of movement. Let loose, have fun and enjoy! The HAPPYNEX® original violin and viola sling can be used with or without a chin rest or shoulder rest, and can be used to make playing with your current configuration much more comfortable! Allows for Mobility to Play, Sing, and Dance Around! Click this text to see the video demonstration! (1) Slip one end of the sling under tailpiece. The chin rest can be left in place or can be removed. (2) Bring ends of the sling together, and knot securely using an overhand knot. (3) Slip your right arm through the sling and then slip the sling over your head. 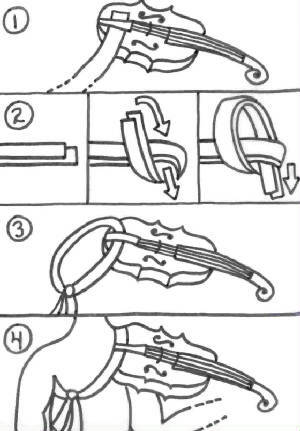 (4) Readjust knot, as needed, for a close to the body fit. 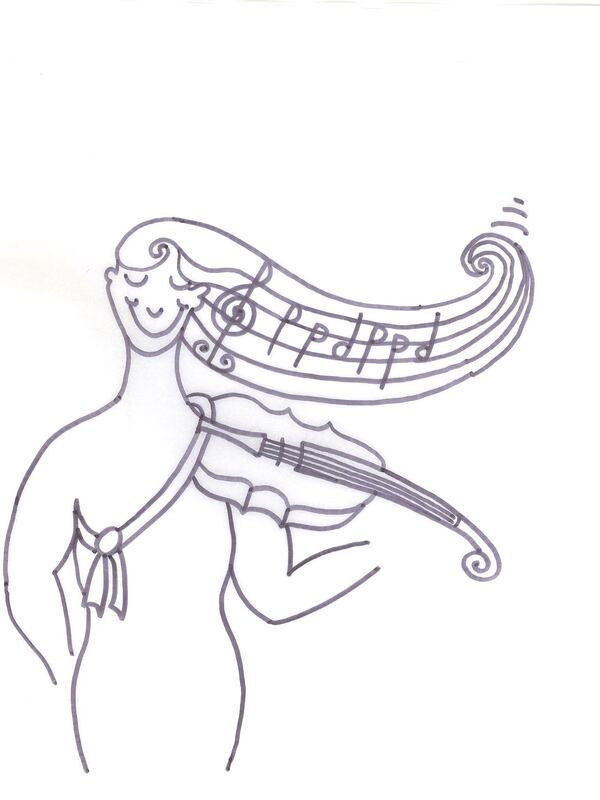 HAPPYNEX®, the original violin and viola sling, can be used with or without a chin rest or shoulder rest. Try it with your favorite shoulder rest. Try it without a shoulder rest. Experiment! Soon you'll find the perfect fit! 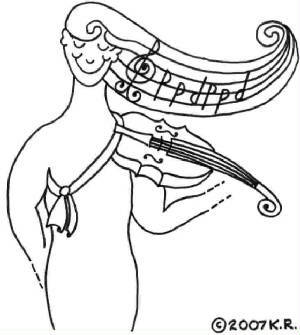 violin and viola sling. Thanks.